Come and hear 1960's Brum Beat legendary singer Dave Lacey with his current group Buddies in a special three hour concert at Fletchers on Sunday 7 December. 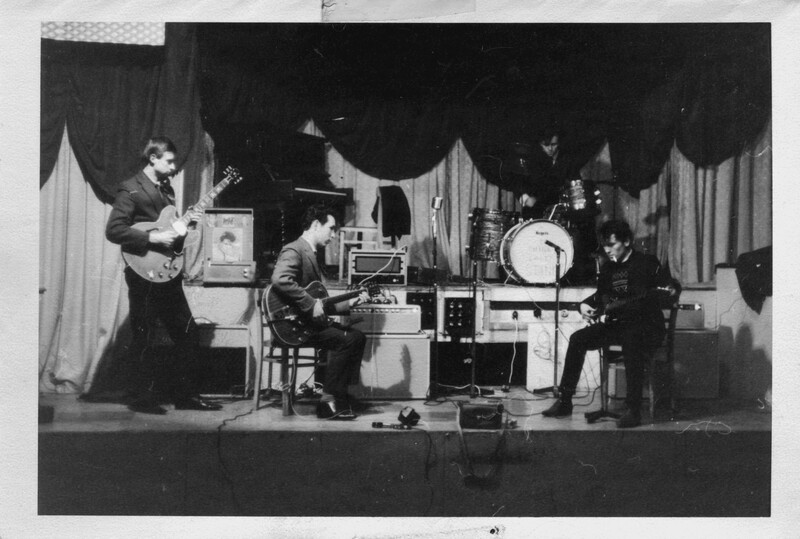 Dave Lacey and the Corvettes were regulars at King's Heath's Ritz Ballroom and other clubs on the Regan circuit in the 1960's . Now Dave along with The Corvettes' rhythm guitarist Roy Pinson and drummer John Dudley will return to King's Heath and be joined on stage at Fletchers by lead guitarist Dave Brettell and bass guitarist Anthony Smith in a great line up known as Dave Lacey and Buddies. 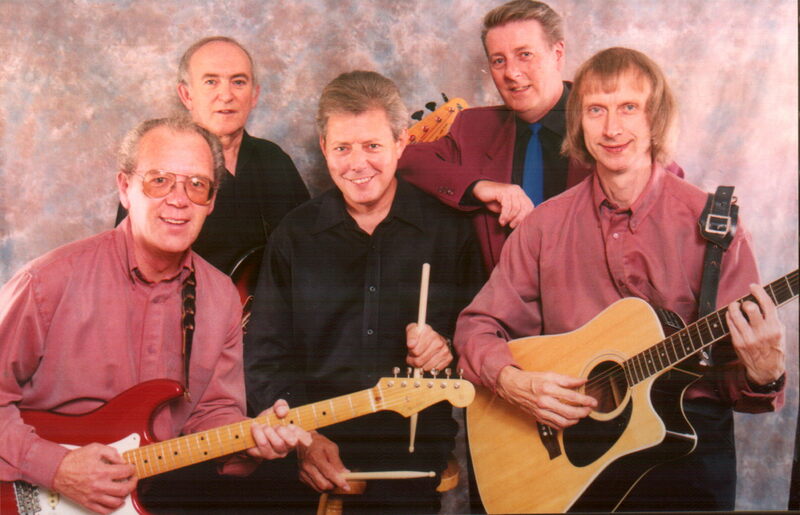 Originally formed to play Buddy Holly songs, the hugely popular Stourbridge based group now play a fantastic selection of great rock 'n' roll songs from the late 1950's onwards. Dave Lacey and the Corvettes were regulars at the Regan owned Plazas in Old Hill and Handsworth in the 1960's but frequently doubled up by playing at the Ritz Ballroom on the same night as well. They supported many of the greatest artists of the 1960's including The Beatles, The Rolling Stones, The Animals, Bill Haley and Jerry Lee Lewis. With the Regans acting as their agents, they performed 3 songs on the famous Brum Beat album released by Decca and had a single "That's What They All Say", penned by Dave Lacey, released on the Phillips label. Starting at 3 p.m. Dave Lacy and Buddies will appear as the main act in the latest of our popular Lazy Sunday Afternoon Sessions on Sunday 7 December. Support will be provided by the up and coming acoustic duo Trailing Tales performing a variety of "feel good" songs. Advance tickets cost just £3 from the Kitchen Garden Cafe or www.wegottickets.com. Any remaining tickets will cost £4 on the door. 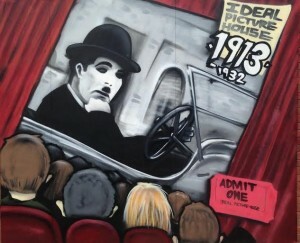 ABOVE: Hoakser's mural created for this September's King's Heath Street Festival celebrates the history of 2 York Road. 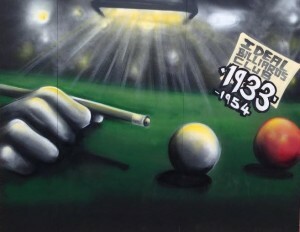 From 1913-32 the builiding was the Ideal Picture House, from 1933-54 it was the Ideal Billiards Club, from 1955 - 72 it was most famously the Ritz Ballroom and from 1973-2003 it was the Ritz Bingo Club. 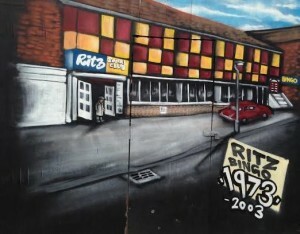 Our campaign to create a Ritz Community Arts Centre on the site of the burnt down ruins of the former ballroom on King's Heath's York Road has got off to a flying start. Over 500 people have now agreed to donate £10 a year enabling us to demonstrate we will have an annual income of more than £5,000 so we can become a registered charity and seek Lottery funding. A well attended public meeting at the All Saints Centre on Tuesday 23 September elected a 15 strong committee to take the project forward. The committee will be holding it's first meeting at 7 p.m. on Tuesday 28 October also at the All Saints Centre. We are particularly looking for more people with a background in the performing arts, drawing up business plans, BID writing and fundraising and architecture and planning but the more help we can get the better! Come to the start of a great new series of Lazy Sunday Afternoon Sessions at Fletchers on Sunday 28 September. 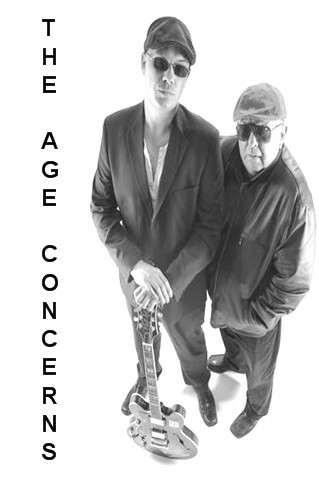 A great double bill of The Age Concerns supported by RFX is guaranteed to get you dancing in the aisles! The Age Concerns are a mix of Ages hence the name. The Band include Ross ( the young one) and Brian Sharpe and Jimmy White (the not so young ones!) who played at the Ritz Ballroom with bands such as The Jay Men. 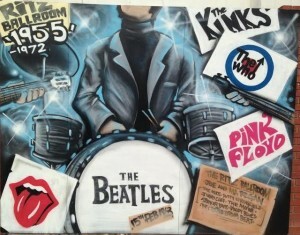 They play classic 50's ,60's and 70's Rock 'n' Roll. Support will be provided by RFX - a new local duo made up of Brendan and Marc. Forged in Birmingham and the Black Country they blend Classic Rock with a little 'Funk' and Reggae. Tight, solid songs and big choruses in the same mould as Aerosmith, Foo Fighters, Thin Lizzy, AC/DC, Faith No More, etc, etc. Starting at 3 p.m this great double bill will provide three hours of great live muusic guaranteed to help you get rid of those autumn blues! Any remaining tickets will cost 4 on the door.